Top 5 out-performing stocks in 2011 ! 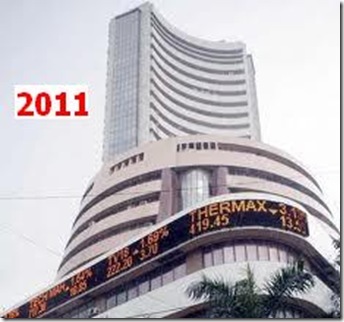 Year 2011 has been no less dramatic for Indian equity markets with more than its share of ups and downs during the year. At large, the year has been hogged by global concerns surrounding sovereign debt concerns emanating from the West. In fact, recent instances of rating downgrades abroad ensured that last few months was most forgettable period during the year for the world markets, which was almost reminiscent of the crisis led by the Lehman Brothers collapse three years ago. Coming back to India, domestic benchmark indices have logged a negative return of around 21.5% from start of the year till date. Nifty slumped from a high of 6200 in Jan 2011 to 4866 level as on last week closing – a negative return of 21.5%. Needless to say, equity investors love to fall back on defensive category stocks during the times of crisis to take shelter under their low beta characteristic. FMCG stock Hindustan Unilever is one of such leading non-cyclical stocks which provide stable earnings irrespective of the adverse economic cycles arising out of soaring inflation and hardening of interest rates. Moreover, HUL was also named as one of the top few visible brands owners on TV in terms of ad volumes from January to September 2011, by AdEx rankings. This counter has comfortably out-performed the market with almost 25% returns as against negative benchmark returns. Not surprisingly, multi-business conglomerate ITC with interests spanning across operations in cigarettes, hotels, agriculture, infotech, paper and packaged foods features as the top performing stock on the Indian bourses, next only to FMCG major HUL. Interestingly, the FMCG firm has reduced dependence on its tobacco business to shrug off regulatory risks associated with its core operations, but still the cigarette division remains the cash cow for the company; even as its operations from other FMCG businesses gains higher say in its revenues. The company has also benefited from the reduction in losses in other FMCG business and a robust sourcing supply chain model. Believe it or not – Cement giant Ambuja Cements Ltd has notched a third spot in the list of out-performing stocks on the Indian bourses. As such, this development comes as a major surprise as none of the cement counters were in limelight during the year amongst the trading and investment community alike. The demand outlook for the cement industry remains firm for the FY12 despite slower infrastructure spending by the corporate world. However, the demand for cement is likely to stay subdued early next financial year on account of high interest rates affecting new project roll out. Three years ago, two-wheeler major Bajaj Auto was amongst the worst performing stocks post its de-merger from insurance division and investment arm. However, during post 2008-recession phase, the company has witnessed a smart comeback by tapping renewed consumer demand for its mid to premium bikes across the urban and rural areas to top the charts. Once again, a banking stock – Kotak Mahindra Bank – that was not much in trend, nor much in say amongst the investors, has found its presence felt in the list of top 5 out-performers in Indian share markets. At a time when leading private sector banks like HDFC Bank and ICICI Bank have provided negative year-to-date returns of 8% and 39% respectively, Kotak Mahindra Bank has provided a stellar almost 7% returns amidst rising interest rate scenario and decontrolled savings bank deposit rates. 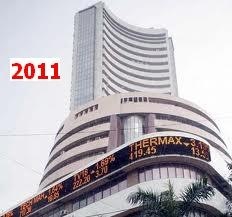 Will these stocks be able to sustain their winning streak in 2012 as well? Why market research is a sheer waste of time? The other five are hero motor corp, Sun Pharma, ACC, Power grid, TCS. The TCS mite continue to main some momentum in 2012. ACC is doubtful considering the slowdown in overall infrastructure development. Similarly Power Grid may not maintain its momentum. Hero Motor Corp, May continue to do well, esplly after the seperation of the business with the joint venture. Both FMCG giant HUL and ITC have always been great stock to hold but the pace of ITC will soon going to out-perform HUL. Yes the FMCG domain is always going inclined when the markets are going down and economy is going down… But yes I am shocked how come golden chip companies like Infosys, TCS, Tata Steel , LnT are no in list. Just for your information, L&T has provided negative returns of 41% during the year and is easily among the top 10 worst performers during 2011. Since HUL and ITC are from FMCG domain, they tend to move in direction opposite to general markets. Investors who had the wisdom to bet on Pharma & FMCG stocks early in the year, have been suitably rewarded by now. But it makes sense to start taking exposure to down trodden stocks like Tata Steel, SAIL etc. May be, not Tata Steel as it is a global MNC now and that it could be affected negatively if global economy goes for a tailspin in near future. SAIL is business is domestically centric model. Infact, even BHEL and L&T forms a good bet at current levels with their robust order book position of around Rs.1.5 lakh crore offering good revenue visibility for at least next couple of years.